Big sound and tone from a highly portable 1x8 combo. Celestion's TF0818 speaker delivers amazing low end and a beautiful and articulate upper range. Great for both acoustic and electric instruments, the 8 inch Mach 2 is unquestionably the most extensible and flexible of the Mach 2 lineup. If you are wondering whether an 8 inch speaker can cut it, go ahead and put that out of your mind. 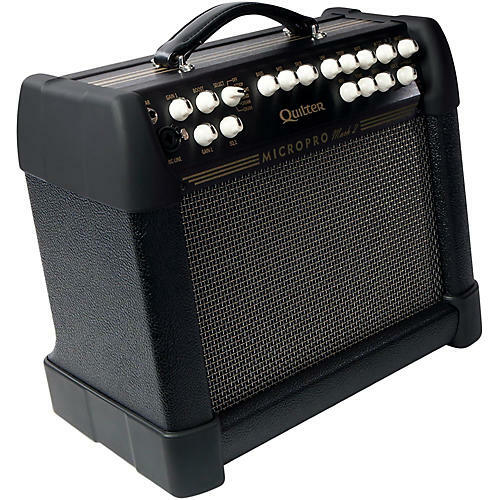 It is our top selling combo amplifier for a reason. Combine this with our 12" extension cabinet for staggering power that will easily handle outdoors or coverage without a PA system.